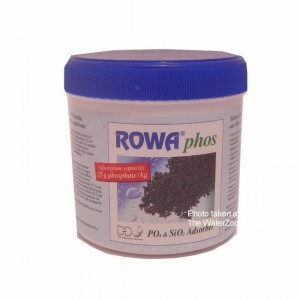 Phosphate remover for fresh and saltwater aquariums. In freshwater or salt water aquariums phosphate causes nuisance algae which can be unsightly and almost impossible to control while phosphate is present. Within the reef aquarium, phosphates will greatly affect the formation of coral skeletons by reducing calcification by over 50% and by inhibiting the deposition of strontium. 100ml treats up to 400 litres of saltwater or 800 litres of freshwater containing 3ppm of phosphate. Small and lightweight items (below 2kg) will normally be sent via Royal Mail 1st class, and will be delivered within 5 days, usually next day.